If you and your team find yourselves having to type out the same answer to the same question over and over again, in emails, documents or presentations, then you're probably familiar with the frustrations and time wasted of having to re-invent the wheel each time. 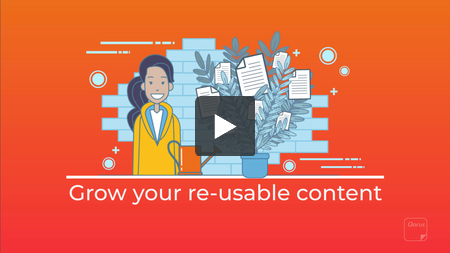 The solution is to use the Qorus Clip to help you grow your re-usable content while you work in Office 365. The Qorus Clip allows teams to create brand new, short, and re-usable documents, from selected text. Documents created with the Qorus Clip can be saved to OneDrive for Business or SharePoint Online, are searchable, and can be inserted into documents, emails and presentations with one click. 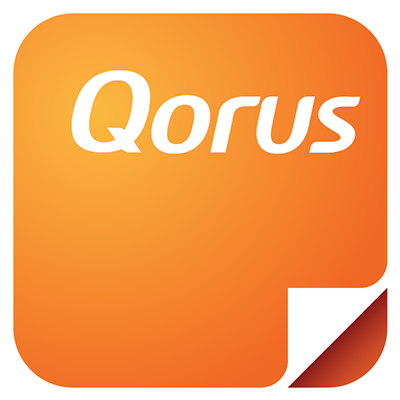 Before you begin, please note that before you can make use of the Qorus Clip to save re-usable content to SharePoint Online, there's some setup required. If you're working with OneDrive for Business however, you can jump right in and follow the steps below. In the top nav, click on 'Clip', and then select the text you'd like to save for future re-use. The 'Save as refreshable content' option that appears above the 'Save' button allows you to not only clip and save new documents to the cloud, but also to keep the content you just clipped from the document, in sync with the corresponding document that was created as a result of your clip - using the Qorus Refresh. Click here to learn more about refreshable content.